Are you searching the internet for “Fuse Box Repair Albany NY”? Chances are, you have blown fuses or circuit breakers and now you need fuse replacement or fuse repair services from a licensed electrician to solve the issue. Give us a call today at (518) 274-5100. Our experienced electricians can solve all of your fuse box repair needs and more. Just let us know what electrical problem you are having and we will send one of our electricians out to inspect your fuses and circuit breakers to ensure they get repaired and are working correctly. We are available 24 hours a day/ 7 days a week to answer your fuse box questions and concerns. We are proud of the high level of customer service and attention to detail our electricians provide. Our #1 goal is to make sure the repair and installation process go as seamlessly as possible and stress free for the customer. At Lammon Electric you can count on our professional expertise to fix electrical switches, broken circuits, broken fuseboxes and more. 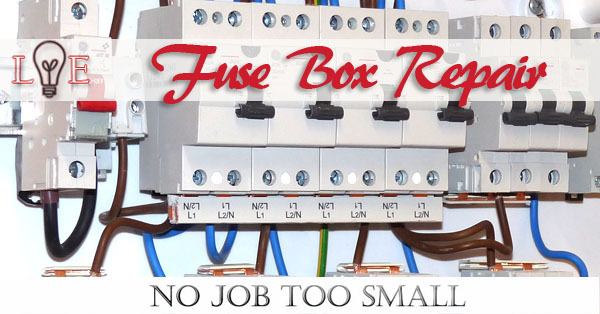 Give Lammon Electric a call today to repair your fuse box.